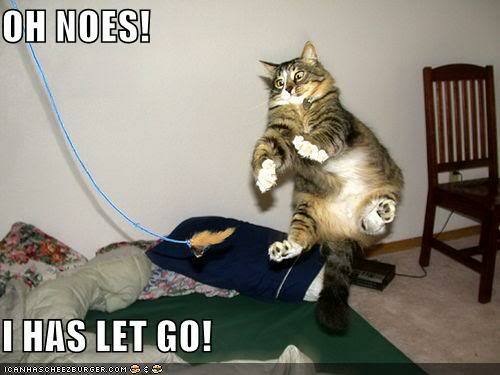 Science Caturday: Forces are Unbalanced! Physics Kitteh demonstrates one aspect of Newton’s second law of motion. Oh dear, mass and acceleration both appear rather high. The net force with which Physics Kitteh hits that chair could be substantial. Chemistry Cat says: extra ‘nip for Physics Kitteh! Thanks for the lesson and see you next Caturday. This entry was posted in Science Caturday and tagged law of motion, mass acceleration, newtonian physics, physics cat, Physics lolcat, science cat, science lolcat. Bookmark the permalink.